Match Management – Why Can’t I Shoot a Personal Best Every Match?! There is a lot that goes into getting ready for a major match, especially if you are traveling with your family. Whatever you do, don’t forget the kids’ Ipad! I know, when did all of this happen?! Not sure, but what were recently thought as luxuries are now the new ‘essentials’. Every day at the range, regardless if at a major match or a local match, can be drastically different. Most of us have families, careers, friends and just plain old life that consumes our conscious thought. What I have learned, several times, is I cannot think about anything else when I get to the firing line besides getting into the ‘zone’. This zone is when I enable my subconscious to take over to do what I have done hundreds of thousands of times before, see the target, align the sights, and squeeze the trigger. 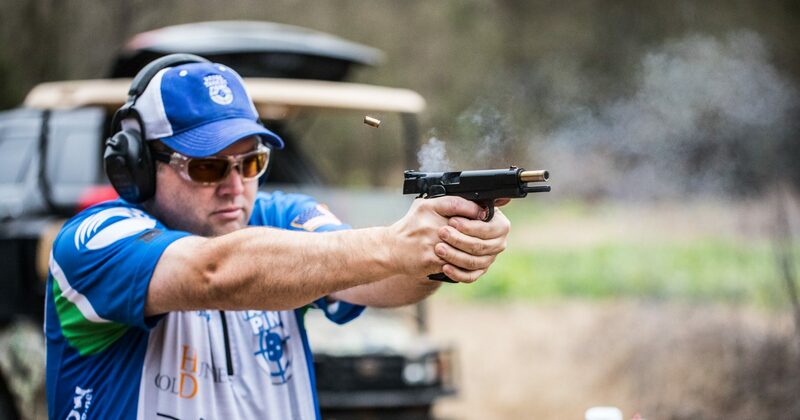 For various reasons, I was at a recent level II match in Florida and from the start of the match I did not feel as confident and comfortable shooting as I have lately. As I reflect back, there is a litany of reasons why this could have happened. The reality is, I was at a big match and I was second guessing my subconscious shooting. It was at this moment when I knew I had to go into Match Management Mode. My focus was no longer on matching my fastest times on each stage, but to shoot them at a comfortable and thoughtful pace. Several people asked how I was shooting and I would say “just OK”. They said I was shooting well, but if I was pulling the trigger fast and having too many make-up shots it can give the false perception I was shooting well. A fellow competitor asked me for some assistance during the match at how I look at and approach a stage. I was straight forward and shared I was not shooting as well as I would like, then I shared my strategy ‘when you are not feeling it’. We were on Accelerator and I was shooting my JP GMR 13 PCC. I told him I run this stage in sub – 8 seconds during practice and a ‘solid’ day for me is mid 8’s. I told him I was going to shoot the first string in 2.25-2.35 range which is around 85% of where I normally shoot it so I can get some confidence and rhythm. I then told him, I would step it up as I became comfortable and hopefully have a run or two right-at 2 seconds. Below are my times from the match. The first string was 2.27 and it felt comfortable. I dialed it up just a bit too much on string #3 and I had a pickup shot. I then dialed my time back to around 90% for string 4. After I connected one-for-one, I turned things up for my 100% run and I was fortunate enough to connect yielding a sub 2second run. At the conclusion of the stage I ended up shooting the fastest time for my division for the match and landed right in my acceptable range of performance. Through proper Match Management I was able to shoot a respectable time which earned me first Place in PCC as well as title of Rifle Master. When you miss and you are not ‘feeling it’ the answer is not to simply shoot faster. If you have this frame of mind, the misses/make up shots will add up quick! You have to shoot smarter and manage each string, each stage, and finish the match strong. See you out on the range!